It’s Destiny 2 players’ favorite time of the week: weekly reset! This week’s reset (starting November 7th) offers Faction Rallies on top of the usual bevvy of activities. Remember that completing your Milestones is important if you want to edge closer to reaching Power 305. If you’re a new player, check out our guide on the fastest way to level up in Destiny 2! 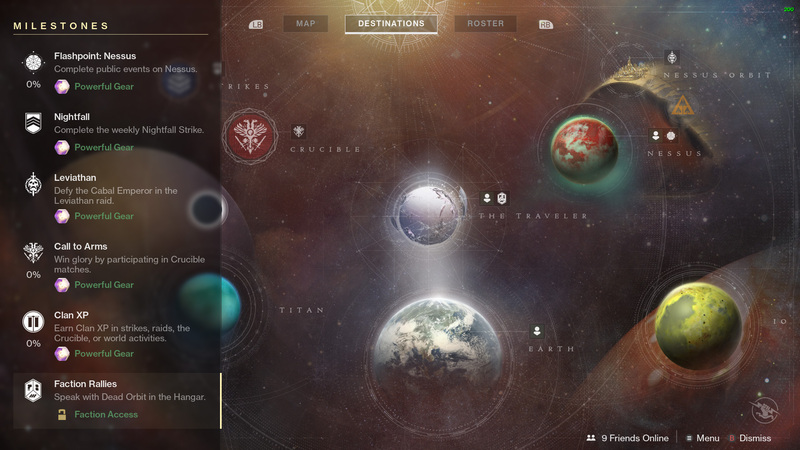 The Nightfall for this week is The Inverted Spire. Taking place on Nessus, The Inverted Spire tasks you with uncovering what the Cabal are mining beneath the surface of the planet. Make sure you take out those adds efficiently, as time is of the essence. Keep in mind, once you pass through the first Timewarp Ring in an area, the rest will spawn, making it a good idea to clear out the enemies and then activate the rings so you can pass through them with minimal fuss. This week’s modifiers are a little more forgiving than last weeks, especially considering each ring adds 30 seconds to the timer. Timewarp: Rings – Vex time gates have appeared in the area. Pass through them to discharge temporal energy and extend the mission timer. The Leviathan Raid order for this week is: Pleasure Gardens, The Gauntlet, Royal Pools, and finally Emperor Calus. Make sure to check out our Destiny 2 Leviathan Raid guide if your team is struggling with any of the fights. The Leviathan Challenge mode for this week’s reset is The Gauntlet. In order to complete The Gauntlet, players must not stand on a platform more than once during a running phase. Check out our Gauntlet Challenge Guide for a more comprehensive breakdown. For the Destiny 2 weekly reset, Cayde-6 has tasked you with heading to Nessus to complete Public Events. 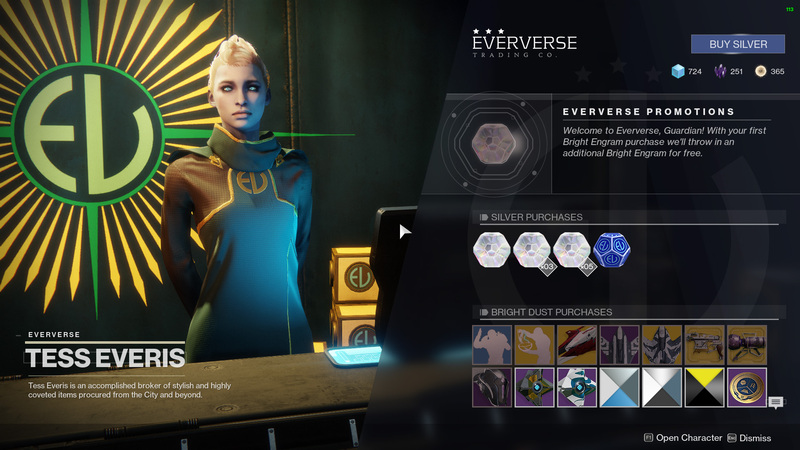 Make sure you visit Cayde-6 and buy his treasure maps before you head to Nessus. If you’re lucky, these treasure chests have a chance of rewarding you with an Exotic engram, or if you’re unlucky like me, nothing. That’s it for this week’s Destiny 2 Weekly Reset. If you’re struggling with any part of the game, take some time to check out our Destiny 2 Complete Strategy Guide where we cover everything you need to know about Bungie’s latest title.